You are here: Home / Contributors / Should Schools Bother With Instagram? 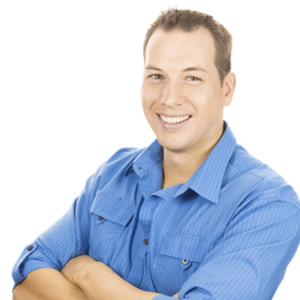 This is a guest post by Mike Leembruggen – Mike is an online marketing enthusiast, having started as an I.T support officer in a school, and then to running his own digital agency, he now offers marketing advice and software development services to schools and universities across the globe. The question begs for whether school marketing directors should bother putting time and effort into the newer social media platforms popping up each year. As we all know, a school marketing director’s time is precious, and dabbling in new social platforms is generally not on top of the to-do list. The answer to that question is answered simply with another question. Is your target market on Instagram? The age old marketing adage rings in my ears here: “Go where your customers are”. Here’s a quick look at the stats on Instagram. Those stats show a huge up-trend in usage amongst teenagers, but also a growing interest from millennials. Right now, it is the younger crowd that are using Instagram, so alumni campaigns are a good option. There is another benefit to using Instagram. Obviously photos are a great marketing tool for a school but often times it’s difficult to collect photos from staff members, or have someone dedicated to taking photos, and then uploading in a timely manner. Well now, with the help of dropbox, you can have your staff members, students, alumni etc. all contributing photos to the school and easily be able to moderate which photo’s actually get published to the school Instagram account. To find out more about that, check out the post on Online Marketing For Schools about moderating from Dropbox to Instagram. Taking Instagram even further, you can also automatically post your Instagram photos to Twitter and Facebook with the help of another cloud service called IFTTT (If this then that). Now you don’t have to worry about manually uploading to multiple social channels. 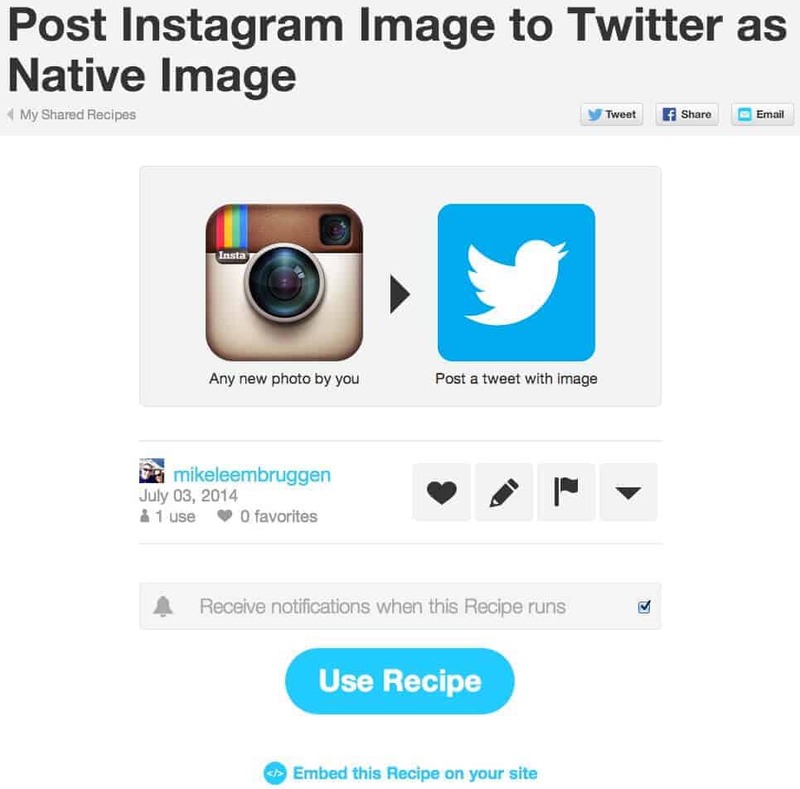 Here’s the link to my shared recipe for automatically posting Instagram photos to Twitter as native Twitter pictures. I hope that helps make Instagram a little more conducive to your workflow. At the current rate Instagram is growing it won’t be long before it’s not an option to not be on Instagram. If your school is on Instagram why did you decide to use this social media channel for your school? Hi Denis, Thanks for taking the time to comment. While I agree that Instagram and Snapchat are marketing channels that are great for reaching kids, I do have two warnings for school marketers: 1. If you are trying to reach the prospective student’s parents their are probably better social media channels, and 2. Trying to convert people into inquiries is very hard on those two channels. I really do think if there is one platform that a school or a college HAS to part-take in, it would 100% be Instagram or Snapchat. If the marketing director has ‘more important things to do’, what are they? Like you mentioned, cater to your audience. Being fairly young myself (not school age, but young) I can firmly confirm that a school would benefit massively from the use of a medium like Instagram or Snapchat. If you look at the stats, Insta and Snap have the youngest demo’s out of all apps. I think it’s a must in this day and age, especially in picture form, to engage students as much as possible. It seems silly that all other businesses would keep up with social media but private schools would not. I suppose most of it is a liability issue. That seems to me to be the best option would be to involve some kind of waiver in order to keep yourself legally protected. So great to see you on the blog and thanks for your comment! You bring up a great question about public high and middle schools. Most of my audience is from the independent/private school world and they are soliciting new customers so Instagram could play into marketing their schools. I also like to think of using Instagram as a retention tool for current students and this is where using Instagram at public schools could fit in. I realize public schools aren’t trying to “retain” their students but Instagram could add to the richness of experience…maybe even an Instagram yearbook documenting the year through one account or through a hashtag. As far as posting photos of kids, we do obtain media releases of the kids and there are some kids we cannot include in our photos as a result. For public high schools and middle schools in the USA, what’s the point of marketing? Are they soliciting new customers? Promoting sales? What’s the point? As for posting photos of the kids. Do you obtain releases? Our school has the usual newsletters, blogs, twitter and facebook but we noticed students are not really there anymore. We’ve started looking at Instagram and it appears to have a large uptake with students right now. Still investigating and looking at other a schools accounts. Any great examples or advice gratefully accepted. We launched The Colorado Springs School’s (@CSS_school) Instagram account last year when I was approached by a senior wanting to do a marketing internship in the office. After assessing her goals for the internship and her strengths for we arrived at involving her in content generation for our social media channels. In a dynamic brainstorm, #diaryofaCSSsenior was born and our school Instagram account was launched. As an age 3 – grade 12 school we wanted to share The Colorado Springs School story from a senior’s perspective. It was also a sentimental project for this particular student since she had attended the school since preschool and had siblings in younger grades. We created prompts, themes, and hashtags for a framework and talked a lot about judgement and connection to the school’s mission and values. 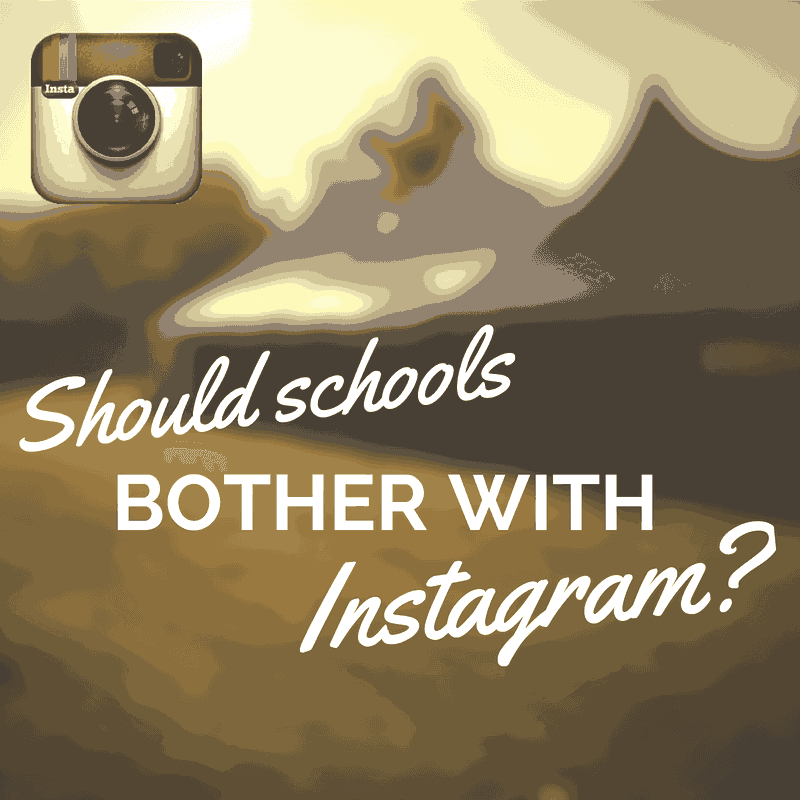 We reviewed and assessed other school’s on Instagram for what made them successful. We analyzed photos and how to connect them to key messages that amplify the school’s story. She rocked it! We cross-posted much of her content over to Facebook and weekly newsletters. Following graduation, she made a final reflective post. In the spirit of student leadership, I also asked her to nominate a rising senior to continue the project the following school year. U.S. all-girls prep school social media coordinator here. We have had an Instagram account now for about 9 months now and have been loving the engagement with our students and younger alumnae. For me, it’s a bit of a hassle to email myself images or upload to Google Drive or Dropbox just to upload on my phone, but the responses and engagement make it absolutely worth it. We post at least once a day, usually 3 times on average during the school year. We post a variety of things, with several recurring theme days that are in line with our school’s mission and founders. It’s interesting to read the input from others. To respond to Mike’s question: We have had no issues thus far with the public sharing of student images, but we are also a very technology-driven school, so maybe that makes it easier for students and parents to digest. All students who attend our school sign waivers before enrolling allowing use of their images for our marketing purposes, including on social media platforms. Question to all: I’ve been looking for conferences, seminars, etc. for people like me – social media/marketing specifically for high schools. So far, no luck. Anything I’m missing that I should be checking out? It believe that a school must know his/her audience, when it comes to social media channels. With that being said, millenials use Instragram. Those 20 and 30 somethings are now putting their 1st born in school. So, it is another avenue for marketing – both external and internal. I’ve started an Instagram account for my school as a bit of an experiment. Our Facebook page does very well, Twitter not so much. The Instagram account is doing surprisingly well despite my not ‘advertising’ it except for posting the images to FB and Twitter. Recently I’ve had my classes submit photos of the school (not of children) to be posted to the Instagram account. Excellent comments. Fantastic community you have here @schneiderb:disqus. I even see one of my pals from down-under @stephenwruck:disqus. It’s interesting to see the difference in approach by schools in the US as opposed to schools here in Australia. Very interesting comment by @disqus_CGxmmrjhve:disqus. I find schools in the US are very much more open to social media and posting of student photos where as schools here in Australia are much more reserved. I have one school here who are petrified of social media and are also looking to hide their school newsletter from the public. I have my own thoughts on this, but I’m interested to hear from Brendan and other people from schools in the US. What is the general consensus on posting student photos on Instagram and other social sites? Is it no big deal? Are parents totally fine with it? How have you dealt with parents that have had concerns? We use Instagram in a slightly different way. Many of our families are nervous about images posted onto Facebook. We have a ‘closed’ Instagram account that parents and students can join. We use that to post images of events as they happen (Twitter for images) in a relatively private environment. HI Jeremy, Thanks for taking the time to comment and for sharing your experiences. I especially like your point about “no fluff or words.” It’s a great point and one of the reasons I enjoy instagram so much – the images ‘speak’ for themselves! Did you feature IFTTT (If this then that) on another blog? Curious to know more about it. Hi @disqus_CGxmmrjhve:disqus – Thanks for taking the time to comment and sharing your story! Hi @disqus_1kDKoy3LZA:disqus – Thank you so much for sharing and that sounds like an awesome project! We started using Instagram two years ago for students and teachers to share spring Interim trip pictures, many of them had migrated there from Twitter. This past year, we used IG as part of a photo crowdsourcing project as we worked on a student produced viewbook. We used IFTTT to share pictures on Twitter. We collected over 900 pictures during the school year. The hashtag we used was #rstories13. I’m happy to share more about the project if anyone is interested. You can email me at [email protected].